My Mummy is on her holidays at the moment. I wasn’t really happy when I heard that at first, I was worried she’d be around the house all day getting in my way. I’m very happy that I was wrong (probably the only time I ever will be, I’m always right, Oinkian infallibility). She’s bringing me somewhere cool nearly every day! Yesterday we decided to explore the other side of Dublin, the Northside! We went to a place called Glasnevin. I had been there once before when I was very little and my distant cousin Zoink was there a few months ago too. 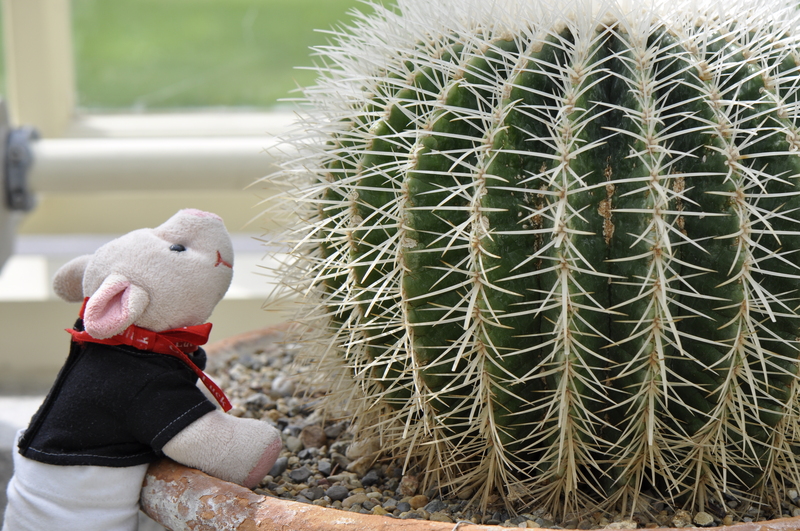 The main reason we went to Glasnevin was to see the Botanical Gardens. I’m not sure what botanical means but the gardens are very nice. There are lots of big glass houses, like this one. We went inside for a look. I’m still designing my secret lair and this building looked good. I’ve decided not to use it though after Mummy pointed out two big problems. Firstly, it’s not very secret. When the sun shines you can see it from a long way away. And secondly, I wouldn’t be allowed to play with my football or potato gun inside because there are too many windows to break. So I’ll keep looking for my lair. 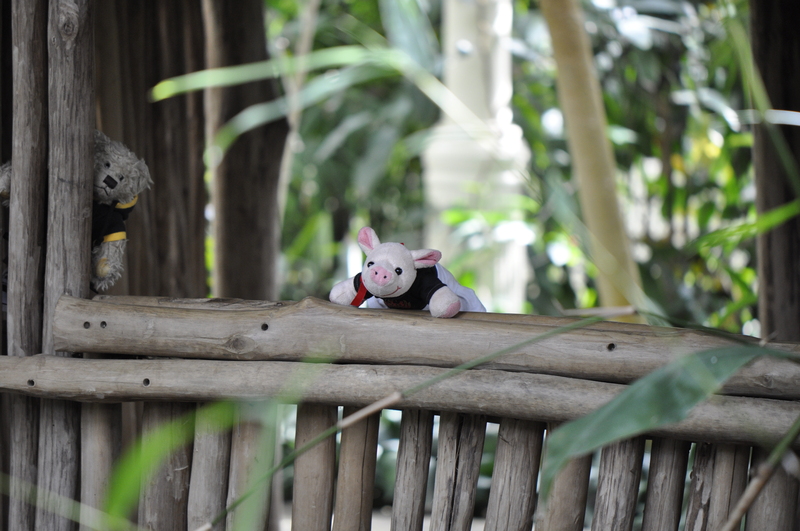 There were loads and loads of plants inside the glass house. I saw banana plants and cocoa plants and lots of other plants that I didn’t know the names of. They did have labels but I was too busy to read them. Myself and Ted were playing hide and seek but then they turned on the sprinklers to keep the plants happy so we had to run for cover. Luckily there was a little hut inside the building that we could shelter in. We spent the next while following Mummy around while she took photos of flowers. Boring!!! Flowers need to be more exciting. They should learn to breathe fire or get up and walk or maybe even chase bees (I saw a lot of bees chasing the flowers). I don’t know why Mummy wanted to take photos of flowers when she had me to take photos of. Very silly. 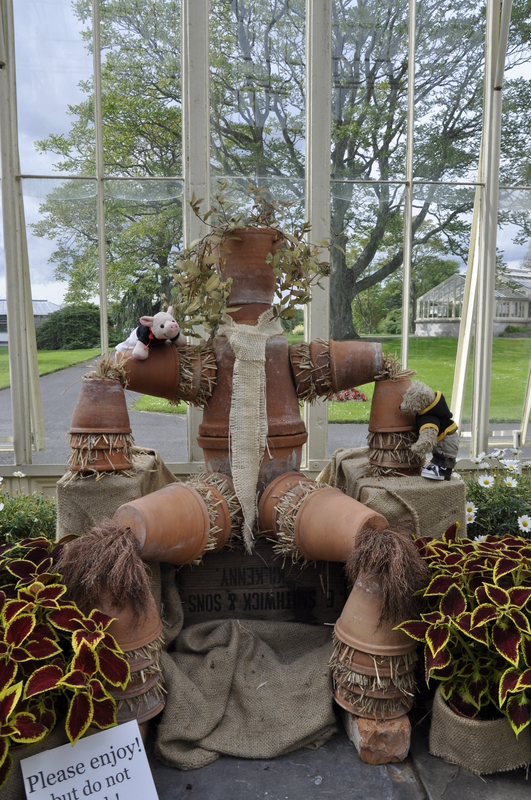 We eventually went inside where we met up with a kind of scarecrow man made out of pots. I told him all about my plans to build up my army and take over the world and he seemed to agree. I saw a lot of squirrels in the gardens so I’m going to look up how to speak squirrel language later on. Here’s a photo of myself and Ted with our new friend. 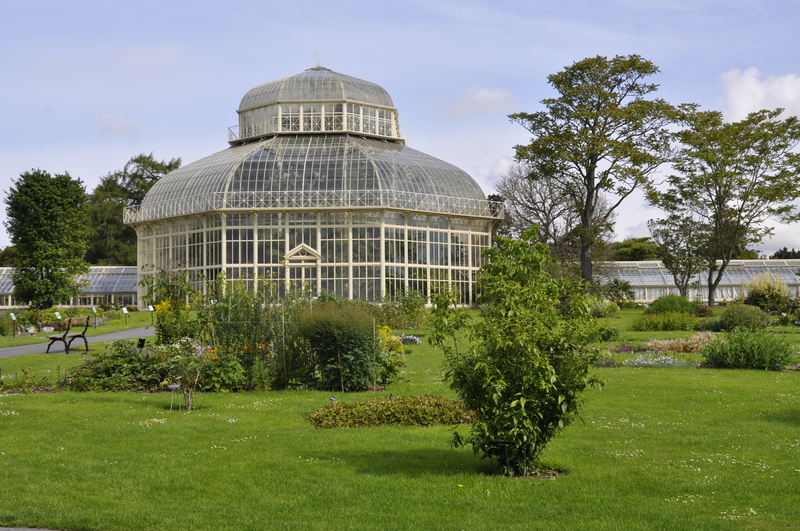 This entry was posted in Uncategorized and tagged Botanical Gardens, Dublin, glasshouses. Bookmark the permalink.